And so it begins! 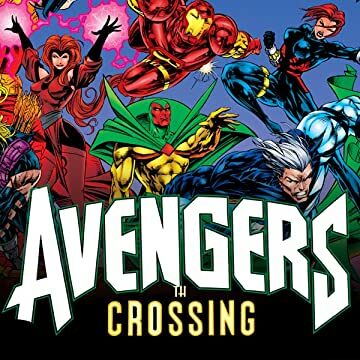 The Crossing saga that will rock the Marvel Universe and take Earth's Mightiest Heroes to the edge...and beyond! However the story opens with a celebration at Avengers Mansion! It's the anniversary of the team's founding many years ago! 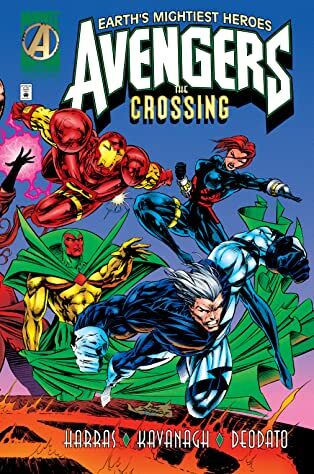 And this gathering of old friends provides an opportunity to rekindle past romances (between the Vision and the Scarlet Witch) and also past animosities (between Hawkeye and Iron Man)! Right before Jarvis serves the special anniversary dinner, a strange group of beings attacks the mansion! The Avengers quickly assemble outside and repel the invaders! But left behind from the attack is the former avenger Gilgamesh...in an aged and dying state! What happened to the forgotten eternal? And who is the mysterious girl slipping in and out of the timestream? The frightening answers are coming in the days ahead! And the Avengers will never be the same again!